Sweating is a natural process of the human body. It’s how we are able to cool ourselves off when we get too warm and can be a way for the body to rid itself of toxins. Some people’s bodies go into overdrive when it comes to sweating, causing a medical condition known as hyperhidrosis. On average, a person with hyperhidrosis sweats four to five times as much as an individual who does not have the condition. Luckily, there are treatments for hyperhidrosis. But what causes excessive sweating in the first place? Learn more about this condition that affects nearly 8 million Americans by discovering the science behind hyperhidrosis. Nearly everyone sweats when they’re in an environment that is too warm, after they’ve done physical activity, and when they’re under stress or afraid. Certain nerves tell the body to sweat when you experience these situations. Those with hyperhidrosis will start sweating more than usual for no apparent reason. It’s likely that for these individuals, those same nerves overreact and cause excessive sweating. Researchers have not found a concrete reason why some people have hyperhidrosis, but they know for certain that it is not a condition that you can catch from someone else. They also know that the two types of hyperhidrosis — primary focal hyperhidrosis and secondary generalized hyperhidrosis — have different causes. About 30% to 50% of people who have primary focal hyperhidrosis have a family history of excessive sweating, indicating that the condition for them is genetic. Secondary generalized hyperhidrosis is a result of another medical condition or a side effect of medications, such as certain antidepressants. Who is at risk for hyperhidrosis? No matter what the cause for your hyperhidrosis may be, there are solutions for you to control excessive sweating. Contact Hidrex USA today to learn about treatments for hyperhidrosis. Hyperhidrosis can be an embarrassing and frustrating condition sometimes. If you don’t know how to stop excessive sweating and have been struggling with this condition, there may be a few myths you’ve heard from other people or might even believe yourself. However, myths about hyperhidrosis can keep people from getting the treatment they need. Here are some of the top myths about constant sweating and the truth behind them so you can stay informed. Myth: Sweating a lot is normal. Fact: It can be easy to write off your excessive sweating as normal, especially if you’ve been dealing with it for a long period of time. However, it’s important to remember that most people don’t deal with issues on a daily basis due to excessive sweating. If you’ve noticed that your sweating is preventing you from performing certain tasks, you may be dealing with hyperhidrosis. Myth: All you need is deodorant. Fact: When you’re sweating excessively as a result of hyperhidrosis, deodorant might not be enough to properly manage it. 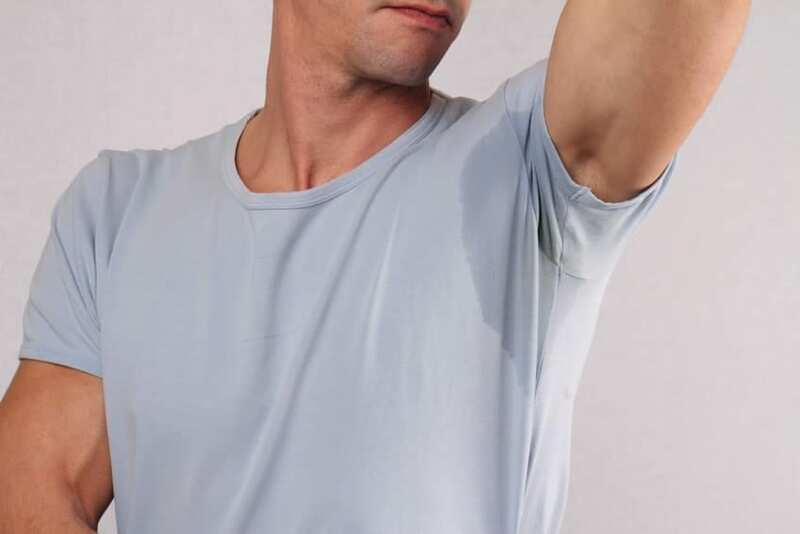 Generally, deodorant and antiperspirants are designed to handle underarm sweat, but often hyperhidrosis causes excessive sweating elsewhere in the body, and deodorant won’t help. Myth: The only way to control excessive sweating is with medication. Fact: Not everyone with hyperhidrosis will be able to take medication to manage the condition. For those already on other forms of medication, this form of hyperhidrosis treatment might not be possible. Additionally, medication can have side effects that some patients with hyperhidrosis would prefer to avoid. Myth: There’s no cure for sweating constantly. Fact: A variety of hyperhidrosis treatments exist, even if you can’t take medication. Iontophoresis devices use electricity to help reduce sweating short and long term, making hyperhidrosis more manageable. This treatment method needs about six to ten treatment sessions to shut down the sweat glands. For those trying to figure out how to stop excessive sweating, iontophoresis may be able to help. Understanding the reality of hyperhidrosis can help people get the treatment and help they need to manage this condition properly. For more information on how to stop excessive sweating and what hyperhidrosis treatments are available, contact Hidrex USA today.